“It says here that we’re out of the bailout.” – Enda Kenny, telling you whatever he’s told to tell you. The celebrations have already begun. The spinning is already reaching fever pitch. Ministers are saying, among other things, that the bailout is over, there will be no crock of gold, and austerity will continue. More of the same, in other words. But sure aren’t we great all the same? Ireland is indeed exiting its bailout, and it will culminate in a TV address by Enda Kenny on Sunday. If I was, I’d expect to hear him “thank” the Irish people for the “sacrifices” that they have made. No mention will be made of the fact that they were never asked whether they wanted to make these sacrifices or not, nor will there be a word about the money and the future that was stolen from them. Instead, fueled more by ego than egalitarianism, the most powerless leader in Europe will waffle his way through some platitudes about “the best little country in the world to do business” and what great Europeans we all are. Once again you will be told that there was no choice – there was no other way. Then you’ll be told the banks are well-capitalised, and that Ireland is back in the markets and well-funded, and not to pay any attention to the shiver that that news sends down your spine as the ghost of Brian Lenihan flits across your screen. Of course, no journalist will be allowed into the studio while this farce takes place, nor will the opposition have a chance to question him. Enda doesn’t do debate. He doesn’t do accountability. He doesn’t answer questions. Mostly because he can’t. Stilted, slow-witted, he limits himself to reading what it says on the card. Understanding it is not a prerequisite. You are being talked at, not to. If I could, I’d skip Enda’s narcissistic news bulletin and instead invite everyone available to join me outside the GPO, where we can all bring our bodhráns and get decked out in our green jerseys and flags and sing a few songs. And just at the moment he commences his pointless spoofery on RTE, we can all burst into “The Fields of Athenry”, the song that under Giovanni Trapattoni became our anthem of failure when hopelessly outclassed in Europe. In this context it is even more fitting, given its depiction of poor folk persecuted by the authorities and forced to leave for Australia against their will. The irony would be lost on Enda, but not on the fathers and mothers contemplating Christmas alone as their offspring celebrate on a beach on the other side of the world. And when we’re done singing our bitter hymns of longing and failure, we can all go home again and change nothing, because that is what we do. We accept that the wealth of the nation is given away. We accept the narrative that it is the poor, and not the ruling class or the speculators, that are really to blame. We’ll go back to laughing at careerist civil servants and their attempts to hold on to their pensions, all the while electing careerist politicians too simple and dull to facilitate the meaningful change that would be required, not to create a just society, but just to manage a bearable one. We will quietly admit that the concept of the fighting Irish is very much an American construct and has little to do with the supine manner in which we have surrendered our democracy to men like Enda Kenny and Colm Keavney. And in doing so we will admit that we deserve no better, because we are no longer prepared to fight for what is right. And we probably never were. And in the meantime, those a long way from the fields of Athenry will look back at Ireland and wonder why anyone bothers to stay at all – apart from gormless Enda and the rest of the privileged few, that is. Danger: May ruin your political career. As a new year of political guff and spoofery dawns, we should forget Swedish-style taxes or childcare – what Ireland really needs is Swedish-style politicians. 2012 in Irish politics began as Ivor Callelly was arrested over false mobile phone receipts. As it went on Mick Wallace was found to have welched on VAT payments, and the name of Michael Lowry was never too far from the headlines. All of these incidents were just the cherries on the usual rancid pile of lies offered up by Irish politicians throughout the year, with the avid kite-flyers of the government almost better by the opposition spivs that bankrupted the country and now crow about it. Every time some sharp-suited spiv is spotted with his hand in the government expenses cookie jar, I’m reminded of what is quaintly known as “the Toblerone Affair” here in Sweden. Mona Sahlin – the prime minister that never was. Back in 1995 Mona Sahlin was the star of Sweden’s Social Democrats – vice prime minister at the time, she was widely tipped to replace Ingvar Carlsson as party leader and become the first female leader of the Scandinavian nation. But then newspaper Expressen reported that she had used a government-issued bank card to pay around €6000 worth of private expenses – among them two Toblerones, which gave the scandal its name. Many expenses, such as restaurant visits, had to be paid for in cash at that time, and money to cover them was taken out at an ATM. In practice, whatever was left over was essentially an advance on the next salary payment. Sahlin’s problem was twofold; firstly, use of the card for private expenses was strictly prohibited. Secondly, a bit of journalistic digging showed that she was generally careless with her personal finances, with a slew of unpaid parking fines and under-the-table payments to childcare workers being two incidents that stuck out. The judgement of the court of public opinion was as swift as it was merciless. On October 14 1995 newspaper Göteborgsposten published an opinion poll in which 66% of the respondents said that Sahlin was unfit to lead the country. Two days later Sahlin took a “time-out”, removing herself from the race to succeed Carlsson and thus become prime minister. On October 16 a criminal investigation began. Sahlin dind’t wait around for the outcome – on November 10 she resigned, her career in ruins. In January 1996 the investigation was closed as no crime could be detected, and Sahlin eventually paid back all monies owed, plus around €1800 extra, but by then it didn’t matter. The Swedish people demand standards in public office, and Mona Sahlin had not met those standards. The story doesn’t end there; for the next ten years, Sahlin wandered the political wilderness before finally getting her chance to lead the party following the loss of the 2006 general election and Göran Persson’s subsequent resignation as party leader. But her dream of being Sweden’s first female prime minister was to remain unrealised. The electorate in Sweden neither forgives nor forgets in a hurry, and Sahlin and the Social Democrats were narrowly defeated in the 2010. I covered the election night for a major news agency, and many in her party suggested that, with a different leader, the centre-left coalition would have won the election – but many swing voters felt they couldn’t get behind Sahlin because of her Toblerones. To Sweden’s credit, from the moment Sahlin’s creative cashflow solution was unveiled, her fate was sealed. This is less certain in Ireland, where the likes of Seán Quinn and Michael Lowry are often regarded as local heroes, rather than greedy spivs. Fianna Fáil showed signs of learning the lessons of the likes of Sahlin at the last election – faced with a country full of voters that would never elect many of them again, most chickened out and didn’t contest the election. The chickening-out of Fianna Fáil represents the green shoots of Irish democracy. It shows that we can and will tell politicians when they have done wrong, and that we will not elect them again if they do so. It’s time to show some cojones raise the bar in public life considerably – no more fraud, no more lies, no more deliberately misleading the public. Having been put into €78 billion of debt without our say-so, the least the people that put us there can do is be straight with us – and not steal any more from us. 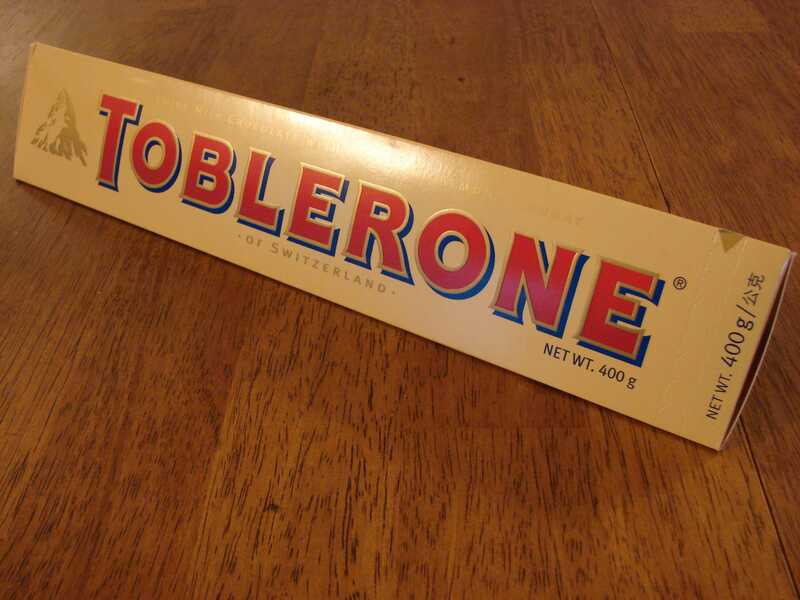 It may take time, but less Toblerones and higher standards shouldn’t unduly hurt our elected representatives. Is that a foot in your mouth, or are you just glad to see me? "What Michael REALLY meant was that everything is the fault of the poor and they only have themselves to blame...""
Just when I start to think that they might actually be capable of doing something intelligent, they invariably make a total mess of it. But just as predictable is the faux outrage when they say or do something as remarkably tactless as Michael Noonan did today. After over a year of austerity and and a general election it should be no surprise to people that he believes that emigration is a lifestyle choice. He can’t afford to believe anything else. Why else would he preside over slash-and-burn budgets and the wanton destruction of social services? Why else would he introduce a finance act that will cost workers an inordinate amount with little hope of creating any jobs? Why else would he keep tugging his metaphorical forelock as the IMF and the ECB told him how great we all are, that, in Brian Lenihan’s memorable fallacy “our plan is working”? Their plan might be working, but much of Ireland isn’t, and the wave of emigration is testament to that. I went on Pat Kenny’s Frontline program just before Christmas determined to give a positive view of the life of the emigrant – after almost 13 years abroad I can safely say it’s not a death sentence. But all the while I was sitting in the TV studio with my collar buttoned up, I was aware of the enormous hurt and loneliness and pain that emigration causes, and there was no way in the world I would have said anything to try to lessen them. Emigration is immensely painful for most people. If you don’t believe me, hang around an Irish airport some morning and see for yourself. You’ll see fathers commuting off to God knows where in search of a week’s work. You’ll see young people with packed bags and empty eyes heading off to places they know little about. You’ll see the tired 40-year-olds who thought their travelling days were done, once again heading off with 10 kilos of hand luggage and the e-mail address of an old friend in Berlin. You’ll see it in my inbox every week as people write looking for advice on jobs and apartments and childcare as they abandon any hope they might have had of raising their family in their own country. What you won’t see is the likes of Noonan, a life of political privilege having inured him from the harsh realities he and his ilk regularly foist upon the nation. It seems like a trivial thing, but maybe not. Maybe this piece of sublime stupidity will be the straw that breaks the back of the Irish camel. Despite the fact that we went into this government and its contemptuous policy of cuts and austerity with our eyes wide open, we might finally choose to exercise our democratic rights. Maybe this insult will help people to find their voice, to get up out of their armchairs and say no more. Or maybe we’ll just keep heading to the airport and leaving the likes of Noonan to do their best to sort it out. Here’s hoping he won’t have the chance. At the very least, Noonan has to go and be replaced by Joan Burton. The sooner we force an end to this charade the better. The Christmas holidays came to an abrupt end this week, as the fairy lights and aroma of pine needles was replaced once again with the daily diet of austerity and bailouts. And having spent a few weeks reading “year-in-review” pieces, we need to change our focus as readers once again. So when a Citibank economist says we need to prepare for a second bailout, or when Michael Noonan says such talk is a ‘ludicrous’ notion, we need to realise that they are not talking to us. There is are whole swathes of diplomatic and economic statements that, whilst made in public for all the world to hear, are actually directed at a very narrow audience. The Citi economist’s note is one such message. In expressing concern for Ireland’s financial state, Citi is (by accident or design) protecting its own interests. Having a second bailout in place just in case may not just be good for the Irish economy; it might protect Citi from another wave of write-downs. It’s an understandable maneuver from a company trying to cover its own back. 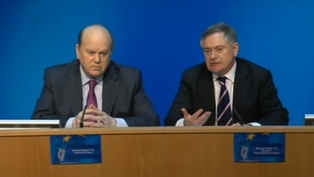 What is unusual is Noonan’s bullish response. Citi’s feint gave him the opportunity to appear sanguine, to calm the markets by saying that the Irish program was on track and that the government would continue to behave responsibly, and if in the unlikely event that a second bailout was needed, it would be handled in an orderly fashion. Instead, Noonan went on the attack – head buried firmly in the sand, the muffled word “ludicous” could be heard emanating from him, swiftly followed by “fully funded until 2013″. The nation shivered. Both have made mistakes - Citi were in some ways unwise to put their head above the parapet, and Noonan was unwise to take the bait. But whereas Citi are well within their writes to release such a note, Noonan has a greater responsibility. In times of crisis, the markets resemble nothing more than a confidence trick; in deciding to take the path of denial travelled by the previous imbecellic Fianna Fail administrations, Noonan has essentially told them nothing has changed. And unless our rhetoric changes, our interest rates will remain over 8% as the markest are saying they don’t trust our politicians to sort this mess out. Pat Rabbitte- soon to take over from Margaret Thatcher as Leo Varadkar's hero. It was only a matter of time before this government let the privatisation genie out of the bottle. Word from Kildare Street is that a “minority stake” in the ESB, a company “of strategic significance in the Irish economy ” is up for sale. There’s a lot to suggest that this the thin end of the wedge. For a start, it’s fitting that the announcement came did not from Leo Varadkar. Instead, in a a prime example of the sorry state of socialism in Ireland, it was left to Minister for Communications, Energy and Natural Resources Pat Rabbitte to sell us out again. The problem with the privatisation genie – like the property genie – is that once he’s let out of the bottle, he’s impossible to put back in. Rather than sticking up for the working Joe, post-socialist man Pat will soon be espousing the virtues of private ownership and competition, and telling us how they will combine to drive prices down, without being able to cite a single example of where this has happened. The reality is of course that the new owners will want a return on their investment and prices will rise even quicker than they are at the moment. For those who doubt it, Sweden deregulated the electricity market a few years ago amidst a fanfare of promises of competition and lower prices. Of course, the opposite was the case as speculation by energy traders forced prices up as they searched for profit. Recently, the very newspapers that trumpeted this free market triumph expressed their outrage as helpless customers were ripped off at ever opportunity. In the most extreme of cases (Russia), we witnessed how the selling-out of the nation’s energy infrastructure and resources created a whole new class of super-rich. Along with it came corruption on a scale that even Michael Lowry might notice. Pat and his supposed socialists in the Labour party are not content to facilitate the free market in taking all our money via the bailout; they won’t be happy until they’ve given away all our assets too. For despite the supposedly unprecedented scale and scope of the credit crunch and subsequent debt crisis, there is nothing new here. The IMF, like the free marketeers of Fine Gael and the Labour party, is still ideologically driven and utterly intent on selling out Ireland, and not necessairily to the highest bidder. They do this despite ample evidence that such a sell-out causes more damage than good. But of course by the time this becomes apparent, it will be too late. The genie won’t be going back into the bottle. And in the end we’ll be left with Pat, our king of the socialist sell-out. 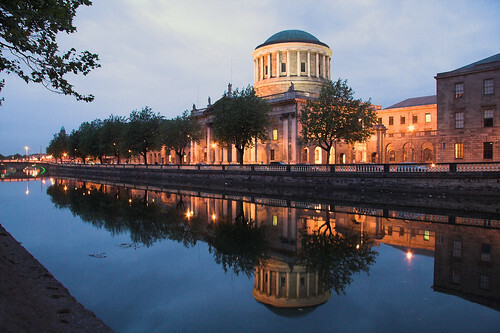 The Four Courts - surprisingly, not a development owned by NAMA. Yet. We don’t make it easy on them, to be fair. The Irish are not an easy bunch to rule in a conventional sense. We don’t really pay much attention to laws and rules and regulations; most of our times is spent looking for loopholes to circumvent them, rather than trying to understand why they might be a good idea. In the few instances where these cannot be found, we simply ignore or flout them. During the 80s an entire generation of people would rather fly through the windscreen of a car than submit to the indignity of wearing a seatbelt as laid down by law. The same with drink-driving. No amount of legislation could convince a man that he wasn’t fit to drive a car after six or seven pints. Especially not after he’d had six or seven pints. That our politicians should be so loathe to regulate us should come as no surprise; contrary to popular belief, they do not simply spring up in Leinster House like wallflowers. They come from among us. But the problem arises when things get out of control, like they did with the property market or the banking system or the Catholic Church. Allowing such entities to police themselves never works – how could it? It’s not in their interest to police themselves. Nor do we do accountability particularly well, if at all. On this Good Friday, there is no evidence of bankers, politicians or developers crawling to the cross to confess their sins and declare their regret and shame before the public. On the contrary, many of them still believe that they have done nothing wrong and legally at least, no crimes have yet been proven. And in many cases, they won’t be. Staggeringly, as Nick Leeson has pointed out, financial stupidity is not a crime – if it was, those responsible for the financial mess would be behind bars long ago. But the vast majority of their actions were entirely legal – they were not against the law because no such laws exist. In the few cases where blame can be apportioned, there is the usual marked reluctance to do so. Nyberg swapped his Finnish pragmatism for Irish fudge, the latest in a long line of reports that refused to apportion blame by name. We must be the only nation whereby the billions spent on the tribunal or investigation is an end in itself. However long this government lasts, it’s biggest job will not be to repair the banking system or to create jobs, as that will eventually happen anyway thanks to the (often violent) self-correction of markets. The biggest task that this and subsequent governments face is the rebuilding of Irish society from the ground up. We need to redefine our attitudes to money, to wealth, to Europe and to each other. We need to understand our responsibilities to ourselves, our families and our neighbours. And we need to accept that our actions have consequences, and that if we act in a way that is not in the best interests of our society, then we will have to suffer those consequences. It’s time we grew up. And in doing so, we might force our politicians to do the same. Politics is often nothing more than the art of being able to say “I told you so”, no matter what the outcome. There was “Straight Talkin’” Pat Rabbitte on Vincent Browne this evening, giving it large about how we couldn’t possibly burn the bondholders, or anyone else who wasn’t working class, poor, young, old or infirm. 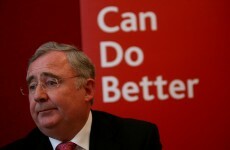 Of course, just a few short weeks ago he and Eamon Gilmore were promising us “Labour’s way or Frankfurt’s way”. I think we all know how that turned out – at the first sign of a cabinet post Labour’s bluster was gone with the wind. Fine Gael weren’t far behind them, and the Hide and Seek Champion of Mayo is dodging all talk of burden-sharing. You’d swear there was never a five-point plan at all. Besides, it’s too late now. As pointed out before the election, a vote for FG or a vote for Labour was a tacit acceptance that the bank debt was ours to bear. No point whining about now, unless we’re seriously prepared to do something about it. And then populist Pat, suffering under the barrage from Browne and Mary-Lou McDonald, turned his ire on the CEO of ESB, who apparently earns €750,000 a year. Rabbitte, struggling to get some points on the board, honorably went ahead and attacked a man not there to defend himself. He even went as far as to open public negotiations with his successor – whoever that may be – by saying that the new person in the position won’t get anywhere near that. I don’t think you’re the best man to judge that Pat, just as you couldn’t be telling anyone at AIB what they can earn. You’ll be forced to pay whatever the market demands for a competent person to run a national power company. And if you decide to pay peanuts, you’ll simply end up adding to the abundance of monkeys running – and ruining – Irish public life. For this is what the free market does. Based on all available information it sets a price, and then it’s up to you to pay it – otherwise someone else will. Which is exactly why the ESB shouldn’t be sold off just yet, if it is ever to be sold off at all. The markets are well aware that we have no arse in our trousers and that we are in no position to negotiate; even if we were, we lack people capable of doing so. Thus, we would get nowhere near the real market value for the asset. The second reason for not selling it off is competitiveness. The CEO of the newly-privatised Irish electricity company would set about justifying his massive new salary by generating massive profits for the new owners- at the expense of the households and small businesses, at a time when they can least afford it. They have neither the mandate nor the interest in helping the country recover- they are simply interested in profit. It’s the way the free market works Pat, and the longer you sit on the benches with Fine Gael, the more you’ll find out about it, and the more you’ll have to sit beside Vincent and defend actions that you would never in your wildest dreams have countenanced when you were on the opposition benches. Even though I’m surrounded by them, I’m glad I’m not a teacher. My brother, my mother and my wife are all teachers, and I can safely say that with my lack of patience, I’d spend more time in front of a judge than a blackboard. But things can be learned from them, and given the difference in the educational upbringing of my wife and I (mine at the hands of the Christian Brothers, hers in a modern, liberal Swedish/European system), it’s a subject often discussed at home. At my wife’s school, bullying is taking very seriously indeed. The alleged perpetrator is immediately removed from the environment and asked about the situation. There is no accusation, no discussion about the past, about evidence or specific incidents. A simple question to the bully follows- what are you going to do about it? Though bullying still occurs, it is a very effective way of acknowledging and dealing with the problem not least because no time is wasted in raking over the past. The future is what matters. But in European politics the attitude is the opposite. Bullied into repeating referenda until the desired response was given, Ireland is now being hung by its y-fronts from the school railings and further humiliated over the bailout. We sent for our big brother, but rather than the aggressive rugby player or hurling captain we got Enda and Michael, who, like their predecessors, also turned out to have glass jaws. On the sidelines stand the chief cheerleaders of the bullies- men like Peter Sutherland, who as chair of Goldman Sachs cravenly hopes to share in whatever lunch money the rest manage to beat out of us. Otherwise reasonable nations like Sweden, Denmark and Belgium stand silently by, fearful that in different circumstances it could be them on the hook. There are two ways to fight back, and neither of them is easy. The first is to hit back and give the bully a bloody nose by not paying up. This of course would result in a massive beating from the markets, but the only way to wind this bully is to hit him in the wallet. Besides, we won’t have access to the markets for the foreseeable future, so they’d be no great loss. And standing up to the economic bullying is the first stroke we need to pull if we are to return to the confidence trick known as the money markets. The second, less-preferrable option is to band together with the other poor unfortunates and try to present a united front- essentially saying to our creditors “go ahead and beat us, but only for 23 hours a day, rather than the 24 you’re filling at the moment. Thanks”. There is no respect to be won here. At the bottom of all this, most worryingly of all, an ideological battle is being waged, and staggeringly it is the free marketeers- who caused this mess in the first place- who look like winning it. People like Leo Varadkar, who believe that there is no link between poverty and ill health, no longer have to argue their case for eradicating the welfare state; there is simply no money left to pay for decent healthcare, so it’s a moot point. Ditto social welfare. Ditto minimum wage. Note how all these affect the poor disproportianately. There is a third way, of course, and that is to take the bully out of the class and ask him what he is going to do about his behaviour. To succeed, the Irish government would need to precede this by doing going on a Europe-wide PR offensive, doing set-piece interviews with the major European newspapers and explaining in great deal what not renegotiating is going to cost the French and German taxpayer over the next ten years. There is nothing the European holds more sacred than his hard-won pension, and to implicitly or explicitly threaten its value by forcing a meltdown on the euro would make them sit up and take notice like a gunshot. We need to play the bully’s game and we need to do it to the same audience, but with elections coming up all over Europe the timing may be all wrong. So given the limited options available, let’s go for the first option. It’s time to roll up your sleeves and swing as hard as you can Enda, safe in the knowledge that we’re all behind you – for now. At first I thought there was something wrong with my TV. When watching Dáil proceedings, a low humming could be heard. I switched TV, but the problem didn’t go away. I alerted the people at the Dáil, but their technicians were baffled by it. Then we copped on. The humming wasn’t because of some technical fault. It was actually Sinn Féin leader Gerry Adams purring on the opposition benches, as the parties all around him scrambled to rearrange the deckchairs on our rapidly-sinking country. Contrary to popular belief, it now appears that the big winner in the last election was Gerry, not Enda, and the big loser was Eamon Gilmore and not Mícheál Martin. Martin was always destined to be cleaned out, but it was Gilmore who promised us “Labour’s way or Frankfurt’s way”, before promptly giving us Frankfurt’s way almost before the final count was over. “Gilmore for Taoiseach” indeed. The strutting confidence of Kenny and Noonan has all but disappeared, as Michael meekly declared today that he “hopes” that promise to cut the Irish bailout interest rate will be honoured. A marked difference from their promise in the now-legendary – and quickly forgotten – five point plan. “Fine Gael will take on the big vested interests that have contributed to the current crisis – the bankers, the bondholders, the developers and the unions”. They all remain untouched, much as they would have had Martin somehow miraculously won. Meet the new boss, same as the old boss. And so to Gerry, purring over Sinn Féin’s policies which were proved right, simply because by not being in power, he cannot be proved wrong. It has turned out more or less as he predicted- we’ve swapped one for the other. The policies are no different. The only real triumph in the face of this lack of creative thought by our government alternatives has been the writings of David McWilliams. His ability to recast and rephrase the same or similar arguments and solutions has been remarkable, yet no matter what innovative ideas he comes up with, it seems that those in power will not listen to them, just because of where they come from. It’s like turning down the cure for cancer because it was discovered by Jack the Ripper. And this is essentially the choice that Irish people will face in the next election when it comes to Adams. Will they be able to look beyond the skeletons in the Sinn Féin closet and effect real change, or will Adams and the party be condemned to continued atonement for the sins of the past for the foreseeable future?